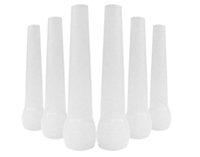 The Dynamic 33" Rotating Single Hose Hookah proudly stands at the top of The Modern and Classic Hookah Collections, being found mostly in Hookah Lounges. 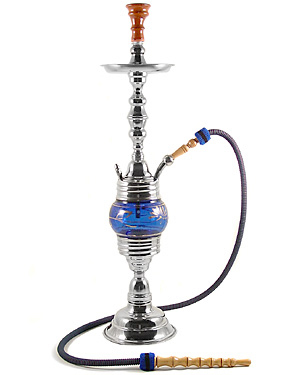 This Hookah was hand crafted in the heart of Egypt, being made out of both Stainless Steel and Nickel materials. The Dynamic rotates a full 360 degrees to allow for durability, as well as flexibility with the individual Hookah smoker. This Hookah may be used for both decorative and smoking pleasures, providing entertainment for years to come. For a limited time, receive a Hookah Carrying Bag with the purchase of The Dynamic at no additional charge (A $17.00 Value). You must be at least 18 years of age in order to purchase this Hookah.